This time I’m going to write a quick guide on how you can create a multilingual website with Divi theme and Polylang. 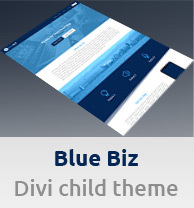 So you will need the Divi theme and the Polylang plugin. Polylang is free and you can download it from the WordPress plugin repository here. I suppose you already have WordPress and Divi installed. If not, you can check my other guides on how to install WordPress and how to install Divi. When you will have WP and Divi installed, create your website’s pages and/or posts in your default language. After that, install & activate the Polylang plugin. Just go to “Plugins” in your WordPress admin panel, search for “Polylang”, install and activate it. Now we are going to add your languages. In your WP admin panel go to: Languages > Languages and add your first language. We will first add your default language. Let’s say it will be English, so just choose it from the drop-down menu and fill in all the details (they will fill in automatically). You can also choose the flag for this language and enter the order of this language. If you are setting your default language, I recommend setting the order to 0. Then set the next languages as 1, 2, etc. You should see the following notice: “There are posts, pages, categories or tags without language. You can set them all to the default language.” So click on that link to set all your WordPress content as your default language. After this, you can set your other languages. Now to make the process of transforming your content from one language to the other ones, we will use a free plugin called Duplicate Post. When you will have this plugin installed, you will be able to duplicate your WordPress posts and pages. So just go to Pages or Posts in your WP admin panel and when you hover over a post (or a page), you will see a “Clone” link. So just click on it and it will create a copy draft of that particular page. Then click to edit this draft and you can create your page for the other language. And don’t forget to assign the corresponding language and translations to this particular post or page in the Languages box on the right. When you start typing the names of the translations pages, it will load a drop-down of those pages in that particular language, so just select the right page. 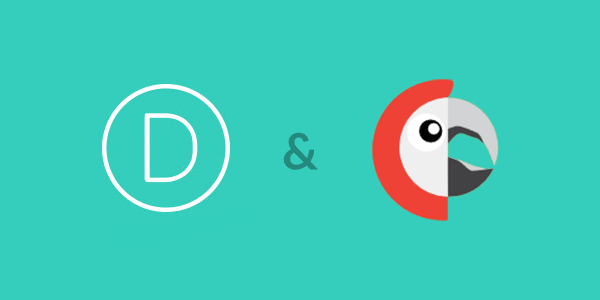 Note: The advantage of using the Duplicate Post plugin is that it will copy the whole Divi layout of your post or page, so you won’t have to create it again or load from the Divi library. You will just need to change your texts for the appropriate language. Now you will need to replicate this process for all your posts and pages and all languages. When you are ready, it is time to set up your menus. 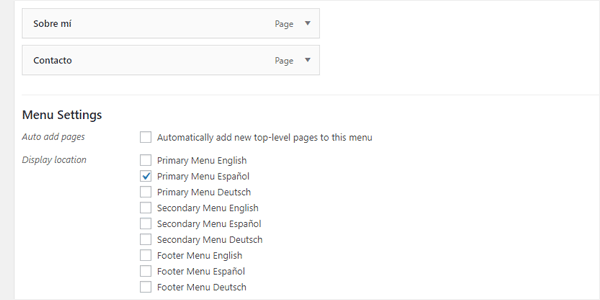 In your WP admin panel go to Appearance > Menus and create a separate menu for each one of your languages. Also, don’t forget to add language switchers to your menus. You can choose to have it as the text, e.g. Español, to be displayed in your menu. Or you can even show flags, like I do on my website. 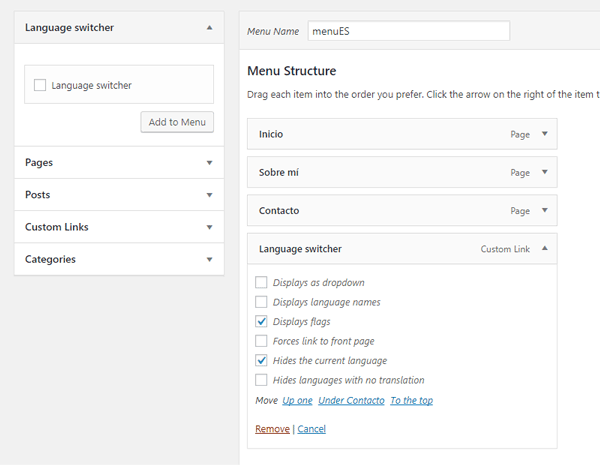 Note: If you don’t see the language switcher as an item option for your menu, just do the following: Click on the “Screen Options” button at the top right corner of your WP dashboard and then tick the “Language switcher” box. After that it will show. Finally, go to: Languages > Strings translations and translate all the stuff that you need to. If you have an SEO plugin installed or any other plugins, you can translate the strings of this plugin here, too. That’s all for this tutorial on creating a multilingual website with Divi and Polylang. I hope it will help you. Thanks! It was easier than I thought!